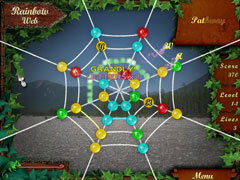 Journey to a land of fairies and elves as you try and stop Spider, an evil wizard who has cast a spell over the kingdom. 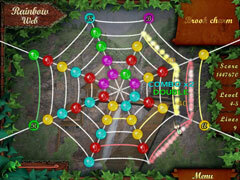 Solve 60 puzzles to break the spell and return the land to sunshine! Artistically and conceptually, this puzzle game is extraordinary. 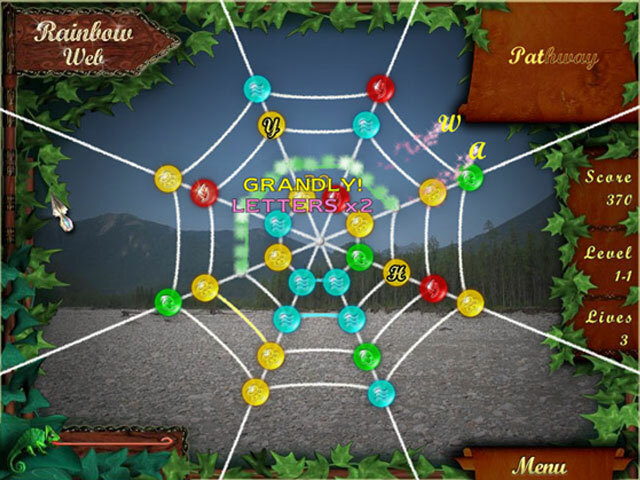 The citizens of Rainbow are waiting for a hero who can remove the spell and bring peace to their kingdom. 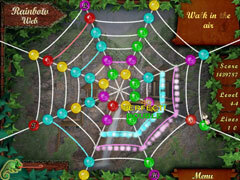 That hero is you, and you must match the beads and free the letters from the magic web to restore the real names of the magic scenery. Once all the names are restored, the kingdom will be back to sunlight and rainbows will color the sky.